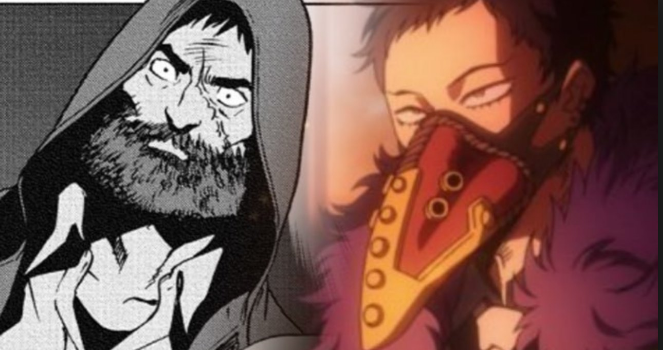 My Hero Academia likes to keep its focus on all its heroes, but the series has its share of villians. The League of Villain may be the biggest ring of bad guys out there, but there are other gangs running about. And, as manga readers just noticed, the series’ spin-off made a rather clever reference to an infamous villain organization just recently which Not long ago, the latest chapter of My Hero Academia: Vigilantes went live which was there we met Knuckleduster after a brief time away. When asked why the supplier was willing to give up the information, Knuckleduster admitted brute force helped his cause. However, the Hong Kong dealer revealed he was supplying a group in Japan, and his reputation would be hit if that gang were to make their supplier public where guy’s been in business awhile and it’d be bad for his rep if people knew another underworld gang was using him Knuckleduster admitted. While the gang is not given a specific name, fans were quick to wonder whether it was Shie Hassaikai. The group, which is known as the Eight Precepts of Death, is a branch of the Yakuza. The Japanese mafia took a hit in My Hero Academia after Pro Heroes came into power, but a man named Chisaki hoped to change that. By pushing drugs, the Eight Precepts kept money flowing while the leader manufactured his own Quirk-Killing compound through human experimentation. We can’t help but wonder if the gang is tied to the Quirk Enhancing drug they have seen put into play recently. So, readers will want to pay close attention to any of the dealers Knuckleduster goes beating up in his on-going arc.